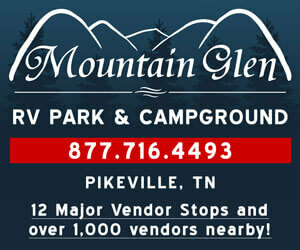 We are directly on Hwy 127 in a Highly populated area where vendors sell everything from everyday items to antiques. The spaces are 10 x 15 and are $20 per day. I am trying something new this year, I am selling 7 spaces that are 10 x 15 with a tent already set up for $30 a day. It will be a 10 x 10 pop up tent already set up for you and an extra 5 feet uncovered to make the 10x15 space ... all you will need to do is set up your stuff. You can chose to rent a space with or without a tent ... It is a convenience we want to offer. We will take the tents down at the end. (the tent is just a rental that we will supply for you.) If you needed more space then we can combine spaces for the size you need. I am going for a flea market style this year. My space is a flag lot so there is a straight away with vendors on both sides that opens to a large field where you can really spread out and we will make any size space you need. Call Annie @423 596 0644 I will be happy to send pictures of the site if you are interested. this year we also have a food vendor which is going to bring in the business so I hope you will take a look.